For all their immense size, the airships of Loess were nearly soundless, even the Jade Dragon, ancient as she was. The whirring of the great solar-powered propellers was inaudible from within the gondola. We might have been standing still, for all the passengers could tell. This is one of the attractions of airship travel, and one of the reasons people choose the slow, ponderous cruisers over faster, more modern conveyances. An uneasy silence hung in the air between us as I waited for Jax to contradict the Captain. Moments stretched into long seconds, but my heretofore ingenuous companion said nothing. He only looked at me. “I knew she was trouble,” he said at last, his voice like the memory of rain in the stillness. “You’re telling me this is true?” My voice spiraled up in that way I hated, the way that made me sound fourteen instead of twenty-four, and I bit the inside of my cheek to bring myself back down. A few things fell into place then, pieces of an unanticipated puzzle. Our flight from Verdure, before the poisoned rain began to fall; my mother’s withdrawal and eventual withering away. My brother’s solicitude, and the private tutors, and the tight watch he kept over me. His refusal to allow me to attend the Academy, where, one supposed, I might learn the true history of our family, and — And what? Ruin his reputation? I shook my head. That last made no sense. Something in Jax’s posture caught my attention. He was watching me, apprehensive, as if he hardly dared breathe. The Captain made a sharp sound in her throat. “You don’t think he did it,” I said. Oh my gosh, I love this. Very elegant tone. I’m going to read the other parts, now. This is such an intriguing story. (I went back and read harp strings as well.) I’d like to know more about her father and his alleged traitorous ways. I love this story. You weave the prompts in well. This is TIGHT. You had me at ” the airships of Loess”. That name alone was awesome. And the story makes me ache for more. Oh. YAY. There IS more. This is terrific – Want to read more. 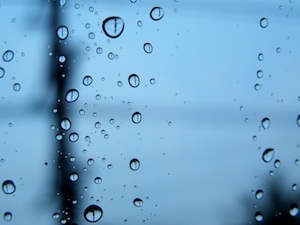 Like the memory of rain in the stillness… I love that. This is a good story. I’ll have to catch up a bit on Jade Dragon. Intriguing details. Nice writing. Awesome. You put me write in the story world, and I was immediately invested in the characters. This is up there with the best this week and definitely deserves to be read. I’m off to read the rest! The first paragraph really places you right in that world, somewhere modern yet old. Almost steampunk. Thanks for linking up. Come on back soon! Outstanding setting. Your first paragraph is well crafted. Good piece.